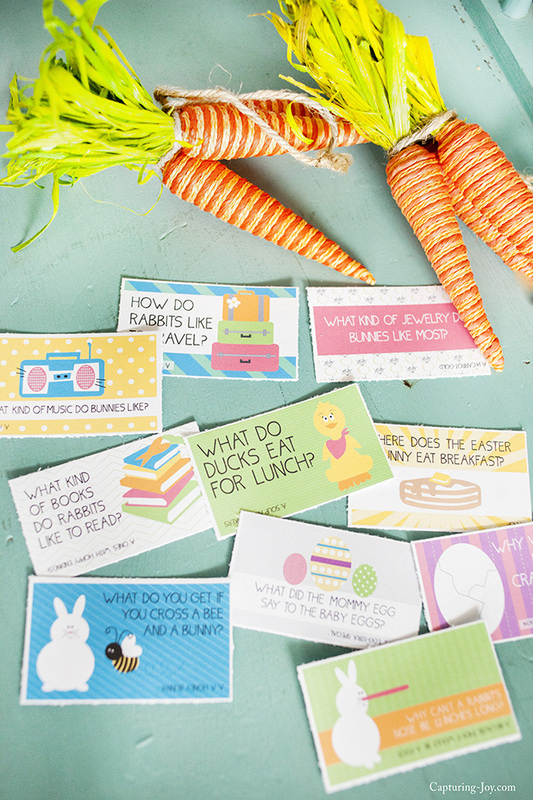 Print these Easter Jokes notes to slip into your kids lunches. They will LOVE it, even the big kids! Hippity hop-hop, Easter is on it’s way! 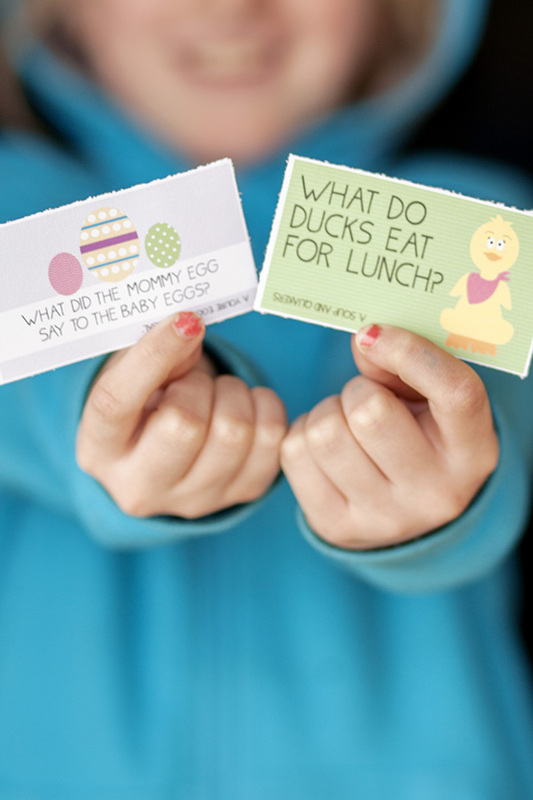 It is time to print these fun Easter jokes! I love slipping little notes or jokes into my kids lunches while they are away at school. From the Easter bunny to the adorable chicks, it’s a way for them to know I’m thinking of them while they are gone. 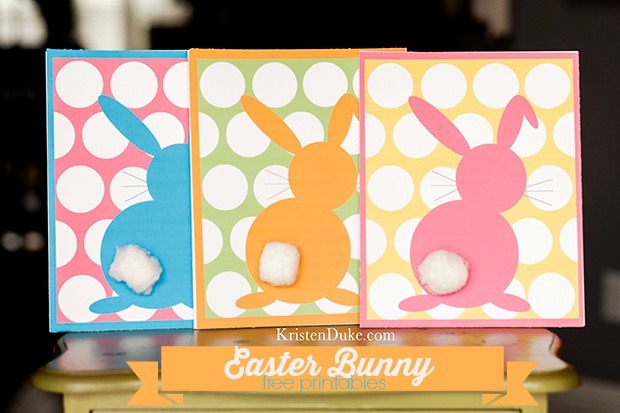 I’ve shared Spring jokes in the past , but this is a new and updated version that are so cute and fun! These Easter jokes are sure to bring a smile to your kids (or spouses) face while you are away from them. My kids love them so much, and happily so do their friends! What are some Easter jokes? What do you get if you cross a bee with a bunny? How do rabbits like to travel? What do ducks eat for lunch? I have a dear friend who is an elementary school teacher, consequently I made her a JOKE JAR, and her students LOVE it! It’s printing off these jokes along with others throughout the year is a great way to spread some love from teacher to students! 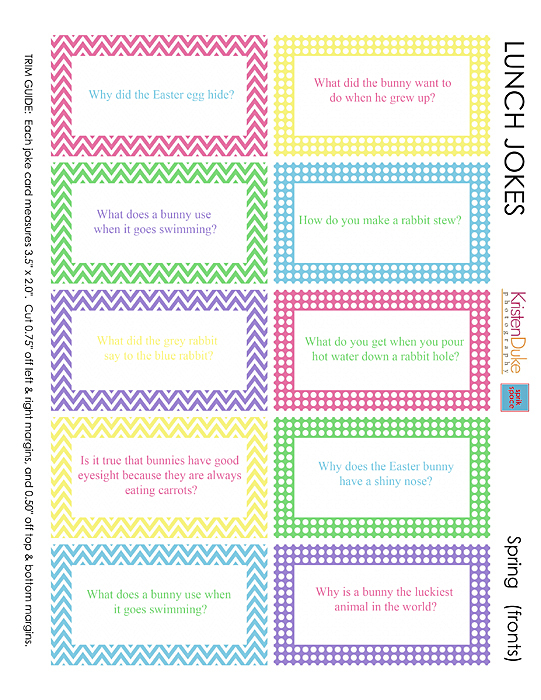 >>Download your Easter jokes HERE!